So, after much deliberation and even more procrastination, I decided to take the plunge and give this blogging thing a shot. I’m not big on commitments that involve sticking to a plan, or making resolutions, so the only way I thought I’d get around this is if I slightly lied to myself about how easy it would be J But in case that plan doesn’t work, knowing my track record, cause I get very easily distracted ……. ……. ….I thought it’d probably be best to keep things really simple and focus on just one of the many things I’m very passionate about and have grown to embrace over time. Natural Hair!! I was born in Kenya and moved to the U.K 3 days before my 17th birthday. I always had a love-hate relationship with my hair, the first few years were pretty rough, bordering on traumatic, and at the age of Six after lots of tears and tantrums and fending off hairdressers trying to keep me in the ‘dreaded chair’; my mum and aunts finally gave in huzzah!! My chemical hair journey began. Over the years my hair had lots of breakage, stunted growth and if my scalp had a mind of its own, it probably would’ve thought I got a kick out of torturing it every 6 months. Long story short!! 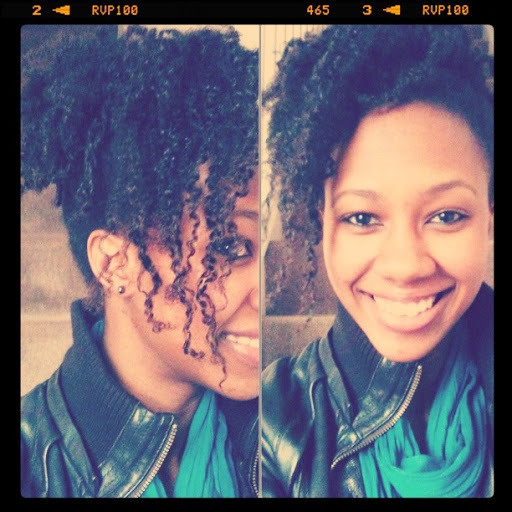 I began my natural hair journey and I haven’t looked back…Okay, sometimes! Only when I’ve had really bad hair days… Okay so a few times, but! This journey has taught me that going natural is not for the faint of heart, but it’s definitely worth it. My experience with my natural hair for the past 6 years has been a lot more rewarding than all my years of chemical hair combined. More so in the last three years since I started my no heat regiment… I’ve learned a lot and changed many attitudes I’ve had over the past year about hair textures and length. So this blog ‘FROFANATIC’ is simply me sharing my journey!! the tears, tricks and tips and the happy moments to. I hope that whoever stumbles across this blog will be inspired encouraged and uplifted to embrace their natural hair and discover its many potentials…. Enjoy! !